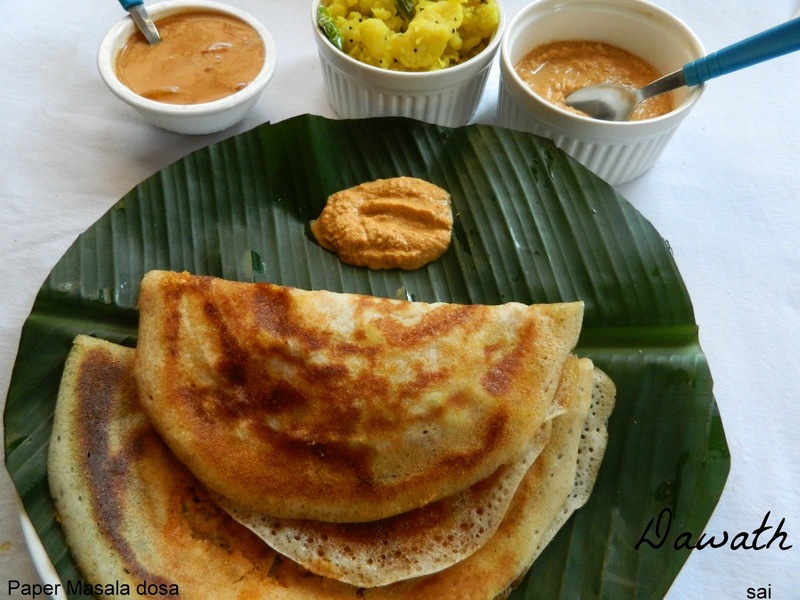 We,GSB’s have many variations of Masala dosa. This time I used the batter of paper dosa. 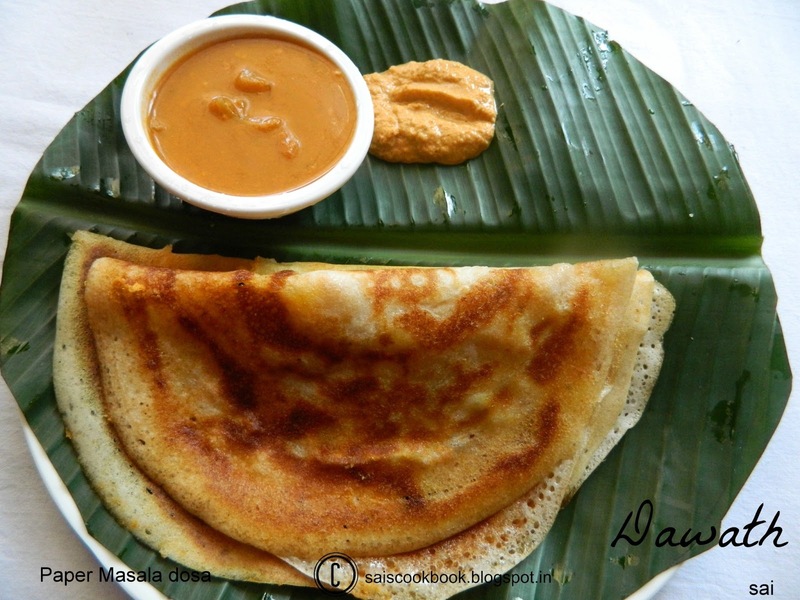 I adapted the recipe from my FB friend Preethi Mukesh.I had handwritten it long back and found it when I was browsing my book and I thought of trying it.It came out crisp and perfect.I will add different recipes of dosa batter of Masala dosa as and when I prepare the same.We,GSB s are experts when it comes to dosa,yes we have endless collections and I am still learning day by day.Thanks to FB foodgroups where I’m exposed to different hidden recipes.I have my Santoshi’s version of masala dosa too.This time I used the dry potato bhaji for the dosa since my daughter Sanju wanted it so.Usually we use semi dry potato bhaji prepared with the onions and few variations.At times we add green peas to the bhaji or Cashewnuts etc.I prepared this dosa as my Sunday special breakfast.Any dosa s are to be enjoyed steaming hot or right from the tawa to the plate.And the tradition is still continued in my Amma s house .Now a days in restaurants we get to see Masala dosa with different stuffing’s like paneer,veggies,cheese etc,innovations are always welcome. Grind all the ingredients written under red chutney. For puffed rice soak it for few minutes before grinding,squeeze excess water if any and then grind it with the above ingredients. I ground the batter in the grinder,For puffed rice I first ground in the Mixer and then added it in the grinder. 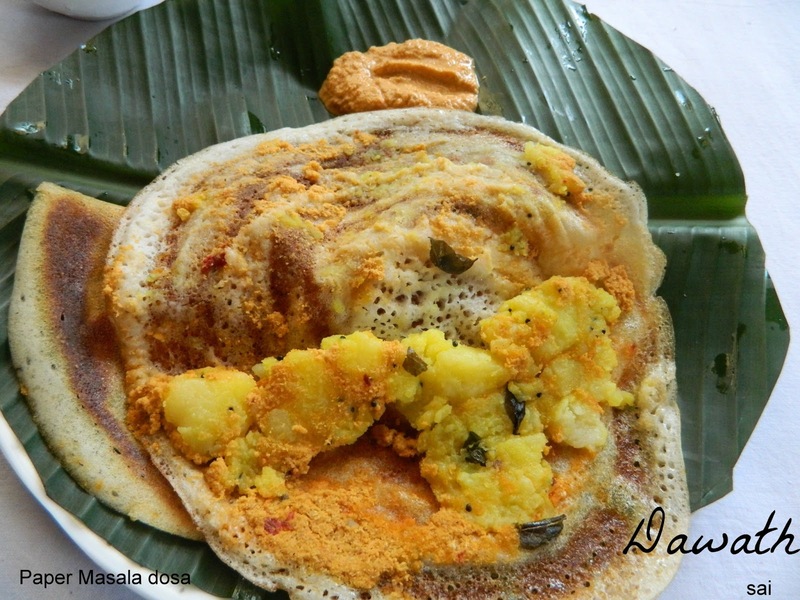 Ferment overnight and next day use the batter for dosa. Keep a bowl of water and a piece of clean napkin aside to wipe the tawa after every dosa to get a better result. Heat the griddle,wipe it with the wet towel,spread a ladle of dosa batter thinly,smear it with melted ghee all over the dosa,simmer and close the lid. After a minute,take the lid off,spread the red chutney,then the garlic chutney all over dosa or as you like and then add potato bhaji at one side. 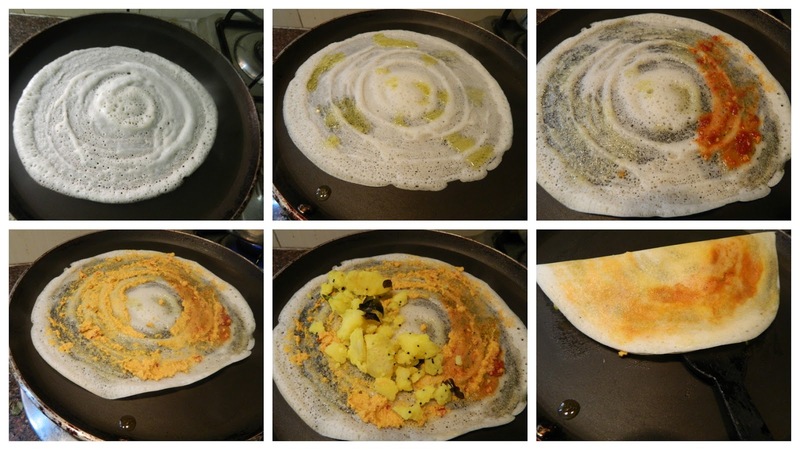 Fold the dosa into half and roast it until brown in color and serve hot. When spreading the dosa batter heat the tawa on high and then simmer it while you spread the dosa. 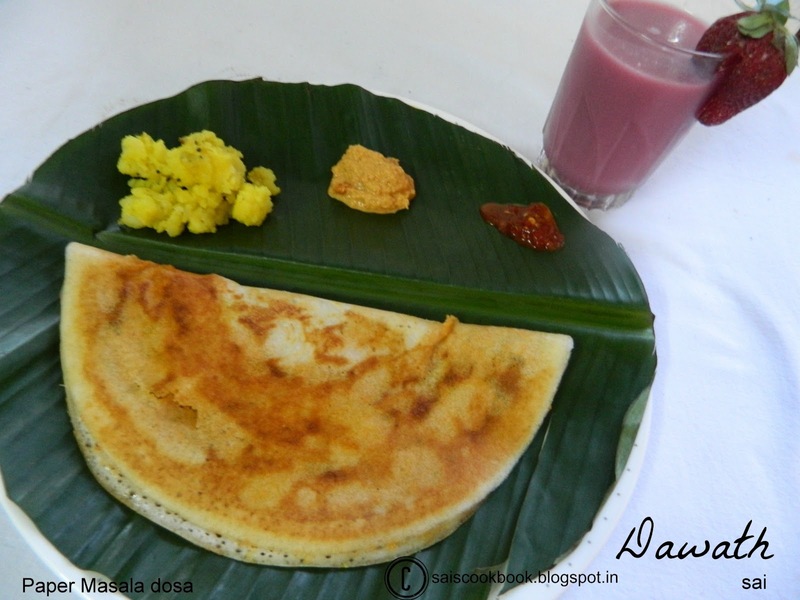 To check whether the tawa is hot enough to spread the dosa sprinkle few drops of water,if it sizzles it is ready. For masala dosa , only one side of the dosa is roasted ,you may roast both and then add the filling. This is how I served to my son with a glass of homemade pomegranate juice and he just loved it and ate it heartily. Ofcourse presentation also matters with the good food.